One of the travel blogs that I look up to when I was still in college is Byahilo.com. Try searching for a specific Philippine destination and most likely, the blog appears on the first page of the search engine results. The blog is updated regularly and the author’s post about food and festivals are quite inviting. Back then though, I was a struggling student and all i can do is travel to nearby places by car or bus. In mid 2008, I attended an exclusive karaoke event for bloggers. A guy wearing his corporate attire went inside the room at 10pm. He seems to be friends with everyone and all the while, I was wondering who he was. Later on, he introduced himself as ‘Enrico Dee of Byahilo.com’. ‘Ikaw si Byahilo?’ i asked with much suprise. ‘Yes! Ako nga!‘ he replied with a big smile. From then on, I frequently see him in blog events and later on, he influenced me to participate in promo fare bookings. Thanks for booking my first plane ticket to Cebu last August 2009, I am now one of the travelers who would wait for promo fare updates! Just last week, I introduced him to a high school friend and even she is a fan of Byahilo. Just like me, she was surprised upon learning that the person behind the legendary Pinoy travel blog is not the ‘serious’ one. Enrico Dee, whom i fondly call ‘yaya’ is a jolly person who never gets tired of eating and traveling! 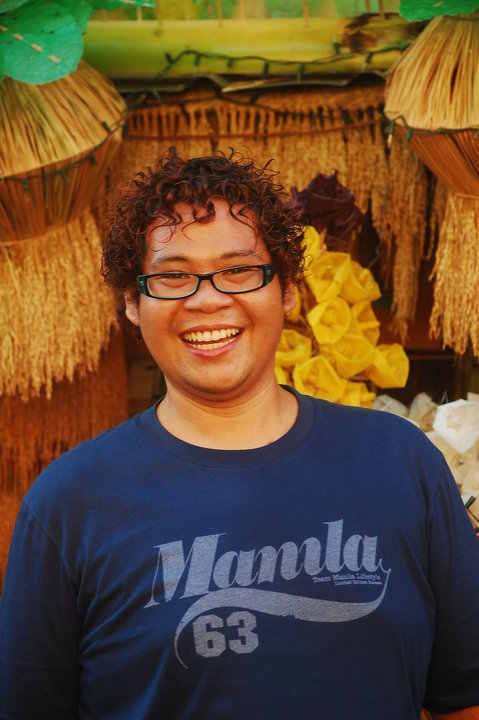 For the month of September, I am featuring Enrico Dee of Byahilo.com. Read on! Enrico: Cebu August 2009? Am I right? Enrico: Who would ever forget Sumilon Island misadventure? Tayo na ang iniwan ng plane habang nasa gitna ng dagat! The first Cebu trip. 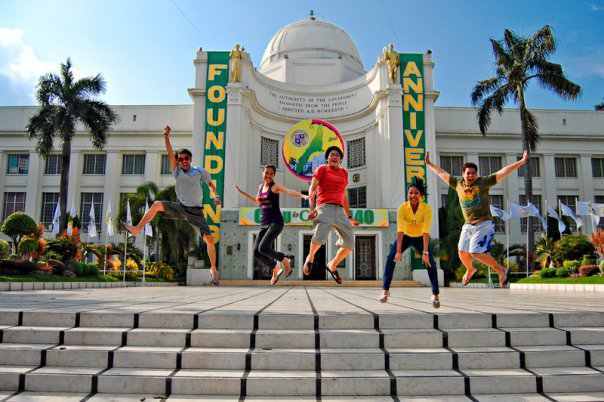 Sino nga ba ang nag-jumpshot sa kalsada? 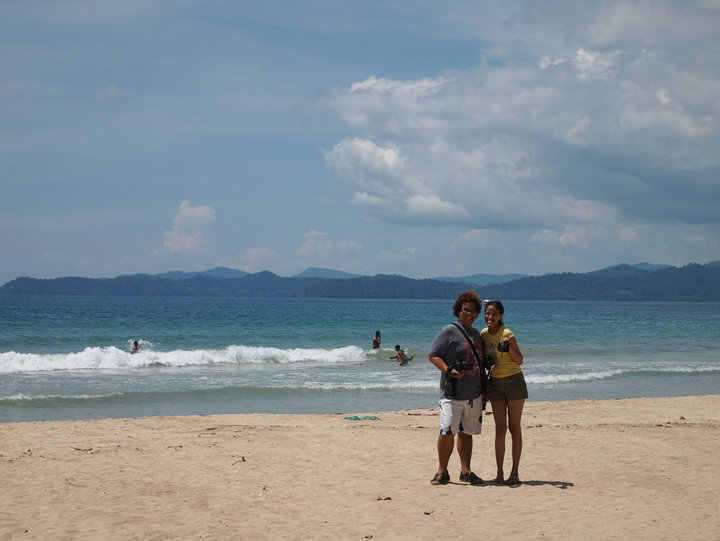 Our second trip to Puerto Princesa is a fun one. Sino nga ulit ang bida ng trip? HAHAHA! and i met Cebuano friends whom i truly treasure up to this day 😀 Mag-yaya mode talaga tayo sa La Union =)) Luxury Travel ftw! Enrico: Getting sick while on travel. My hand got inflamed and I got worried. The doctors at the hospital advised that I should be admitted for observation. I just rebooked my ticket and went back to Manila ASAP. Good thing, XXXX was with me when I was at the Emergency room in Bacolod City. Enrico: Super fun! Walang chismis na hindi dapat pag usapan! Mica: Korek! We can host our own showbiz-oriented program! Â What are the three things you can never live without when you’re on a trip? Â Name three of the best hotel/resort accommodations. Â Name Three of your favorite restaurants. Enrico: Rafael’s Farm in Babatngon Leyte, The original Pala pala in Bacolod, and Saffron Restaurant and Bar in Amorita Resort. Mica: Cebu Lechon for the win! Ako na ang humingi ng extra rice at ginawang sabaw ang sawsawan =)) takaw much LOL and wait, remember our hopia/noodle party at the plane? From Puerto Princesa, our flight was diverted to Clark then back in Manila all in five hours! Â Do you have any ‘holiday romance’ story to share? Â Our most memorable trip together. Describe why. Enrico: Bluewater trip is one of the best. Ang walang katapusang Bacon Festival! So many sunrise in one day. Naiwanan ng plane, ang Sans Rival and Sylvannas sa Dumaguete! Enrico: Just arrived here in Bacolod and will be staying here till October for the preparation of the Maskara Festival. Sana andun ka din para cheer leader ka namin! I’ll be dancing as our group’s lead dancer this year. Mica: Go yaya! Show us your kembotera skills! Enrico: ‘Wag na kayo magpa-uto kay Mica! ahaha Seriously, si Mica para syang Sanglaan, lagi mong maasahan sa oras ng pangangailangan! Love you ateh! If you are a fan of Philippine Festivals, i suggest that you check Byahilo.com by Enrico Dee. 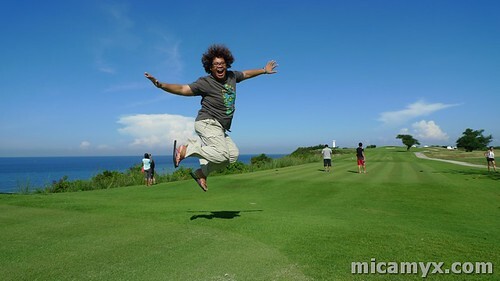 It is considered as one of the pioneer travel blogs in the Philippine Blogosphere. He’s my Yaya too! I haven’t traveled with Eric yet. But I knew his blog since 2005, when blogging was only a hobby (career na sya ngayon) for me. I am looking forward to meeting him in the future. Sana makita ko ulit sya sa Masskara!